Home - TRENDING ON SHOOTERS UNION: REGIONAL ISSUES - Download. Print Kill? The rise of 3D printed guns in Australia. 3D printers and guns keep turning up in police raids. 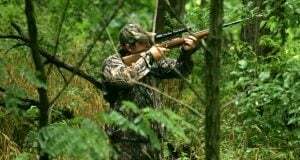 “Any experienced shooter is likely to say – no thanks, I like these five fingers. 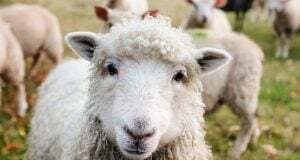 And two eyes!” said Graham Park, president of the Shooters Union, which represents around 200,000 of the country’s firearm owners. Firearms made with a 3D printer aren’t completely useless. In the NSW Police’s test of its second Liberator, the gun fired a bullet 17cm into a block of gelatine soap, which ballisticians use as a proxy for human muscle. Then Police Commissioner Andrew Scipione declared the weapon “certainly capable of killing anyone”. Tests by the US Bureau of Alcohol, Tobacco, Firearms and Explosives, showedsuch weapons were capable of being “lethal” and could fire a bullet that could “reach vital organs and perforate the skull”. 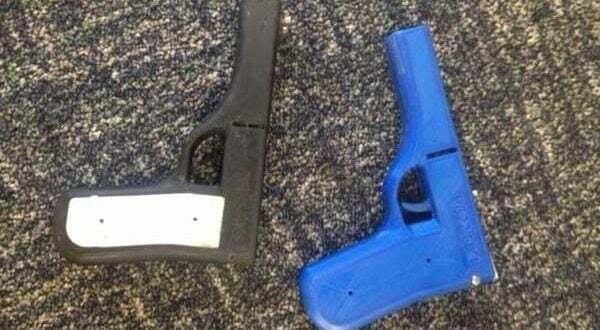 Being mainly constructed from plastic – although a metal bullet and firing pin is required – means 3D printed plastic guns are difficult for security screen metal detectors to pick up, prompting fears of an In the Line of Fire scenario. Journalists have demonstrated this point twice; carrying one aboard a Eurostar train from London to Paris, and pulling one out during a press conference, metres from Prime Minister of Israel Benjamin Netanyahu. Even non-functioning 3D printed plastic replicas of guns are potentially useful to criminals. “Someone with a plastic gun that doesn’t fire but nonetheless will use it to threaten people is a significant problem,” says Gun Control Australia spokesperson Charles Watson. “We’re not used to having hand guns around. And a very good fake handgun is a real problem in criminality terms,” he said. The material by its nature “also allows for an easily disposable weapon in that evidence of the firearm can be melted and destroyed,” Mann adds. As well as the appeal of such features, the QUT researchers suggest the adoption of plastic firearms by local criminals also comes from the difficulty they face in obtaining standard metal guns in Australia. “We’re an island, we have very strict border control regimes, it’s not impossible but it’s very hard to get stuff relative to say the EU with open borders. Obviously in the US people don’t really need to print guns because you can get them pretty easily through other avenues quite legally. Also Australia has very strict gun control laws,” Mann said. It is difficult to say with certainty how difficult it is for criminals to obtain a illegal firearm without printing one. The Australian Federal Police admits it doesn’t knowhow many weapons are making it to the country unnoticed. But Australia’s “unique context” may have “created a gap in the market” for the plastic guns, Mann says. Legislators are responding to the inevitable rise in the numbers of 3D printed firearms. Many countries have updated existing gun laws to include those manufactured with a 3D printer. Spain and Germany have introduced laws to prohibit the “dissemination of information” like CAD files relating to 3D printed firearms without a license. New South Wales has gone one step further. In 2015 the state parliament passed legislation to make it illegal to possess files – ‘digital blueprint’ – that can be used to manufacture a firearm on a 3D printer or electronic milling machine. The maximum penalty in 14 years in jail. NSW Bureau of Crime Statistics & Research confirmed to Computerworld that no finalised criminal charges have yet been brought under the law. That could soon change when Sicen Sun faces sentencing at District Court in Sydney for the offence in August. Although the law will certainly deter some, Mann says it will be “really hard for police to identify and police and enforce this”. “Whether or not that’s going to be effective, we don’t know,” she added. Similar legislation failed to pass in Queensland. A Senate standing committee into law enforcement’s ability to quash gun-related violence in 2015 discussed 3D guns, and recommended governments “continue to monitor the risk”. There have been calls for additional regulations, including controls built in to 3D printers to prevent them from printing gun designs. “It has also been suggested that 3D printing machines be pre-loaded with a database of designs that could be matched to prints and prevented from printing firearms,” Mann says. Alternatively the blueprints could be hashed and removed from websites, which could prove difficult given different countries have different laws, “and it’s concerning, putting controls on the Internet,” Mann adds. Such measures, according to Firearm Owners United’s Yatras, who takes a keen interest in open source, are “humorous if you consider that a large amount of development has been undertaken by the open source community and thus the source code for some of the most popular 3D printer models is published online”. He considers the new NSW law to be “a total waste of resources”. On this Yatras finds an unlikely ally in Gun Control Australia’s Watson. “Holding people who possess the [digital files] as gun owners is very dicey. I don’t think that’s going to work myself, I can’t see it’s a practical outcome,” Watson said. As the technology and materials improve, 3D printed guns are likely to become far more effective as weapons. It is now possible to mostly 3D print guns in metal, and metal printers are coming down in price and up in useability. Police across the country are taking note. 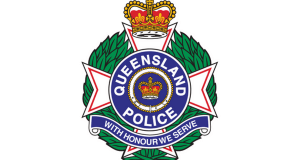 Last week, Mann presented her research at a seminar hosted by the Queensland Police Service’s Intelligence and Covert Services Command, attended by representatives from the Australian Criminal Intelligence Commission, the Australian Federal Police and the Queensland Crime and Corruption Commission. “It’s worrying for Australia because we have relatively good gun control overall, and something which enables the underworld to get access to more guns would not be a good thing,” said Watson. Article Written by George Nott for Computerworld from IDG. Please click here for link to the original article.